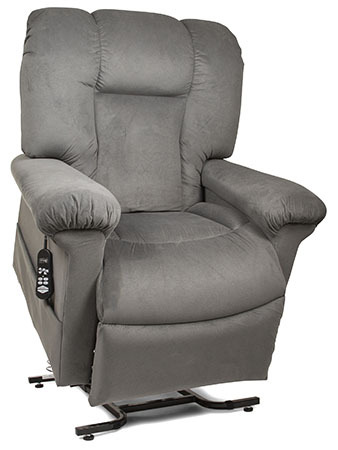 Blackstone Emporium is proud to offer recliners and chairs designed with seniors and customers with physical challenges. These items are designed from the ground up to make your lives easier and more comfortable. When purchasing a lift chair it is important to look for well built chair that fits your comfort level. We understand that our customers rely on these chairs daily for better quality of life. That is why we use Ultra Comfort. Built in Pennsylvania, the founders started their company with the motto "building it right, the first time," and that is exactly what they do. Our customers love the quality, durability and comfort of these American made chairs. Ultra Comfort a wide variety of shapes and sizes to ensure there is a perfect chair to fit your body and ensure your comfort. The stock colors on all their chairs ship out within 48 hours. This starting collection features basic models designed for simplicity and affordability. The Montage collection features the a single comfortable style chair in four different sizes to accommodate all body types and four colors. Optional upgrades are available in these models including heat and message. The Stellar Comfort line by Ultra Comfort features the patented AutoDrive™ control allowing for infinite positions. 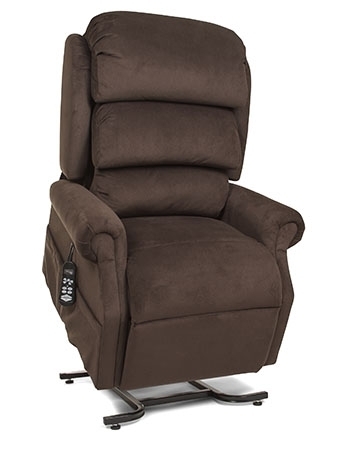 More than just a lift chair, Stellar Comforts offer the most versatile and comfortable recliners around. Available in a variety of styles and fabrics.